In Pointed Style Gothic Revival in America. # 5769 Octagonal Library Table. # 5769. 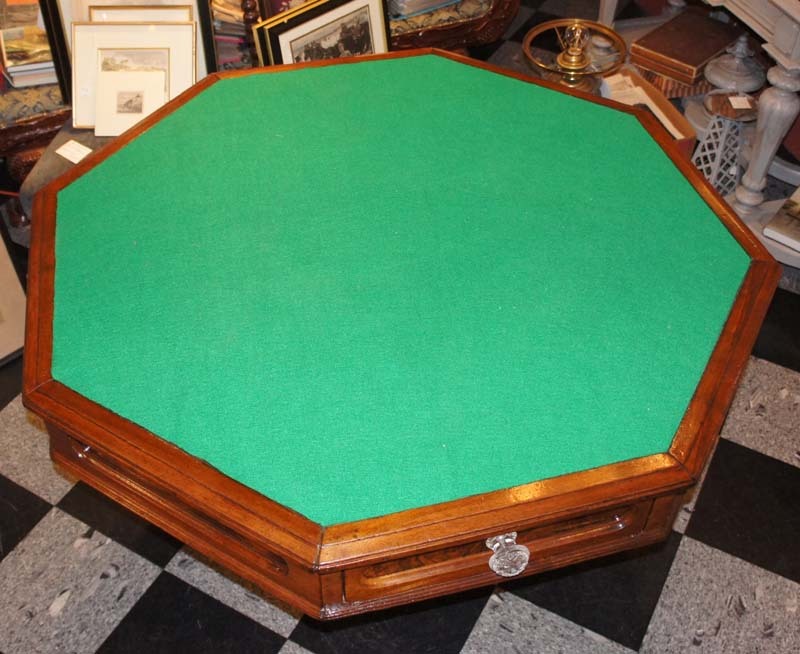 An American Gothic Revival Octagonal Library or Anthenaeum Table. Circa 1845-50. Black Walnut. 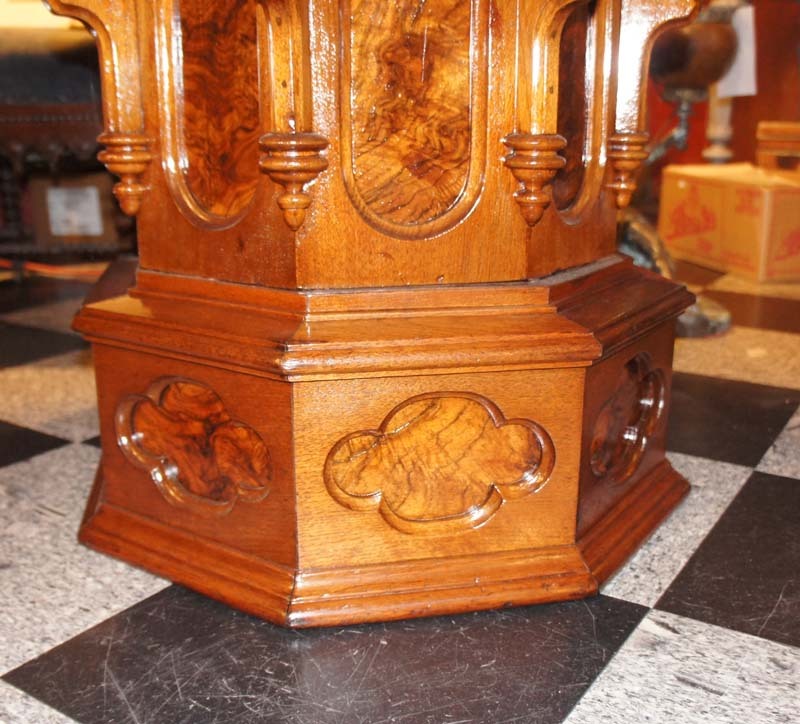 Size: 29.5" tall and 46.5" across and point to point is 50.5". "Library tables thus became an increasingly popular form during the Gothic Revival period. 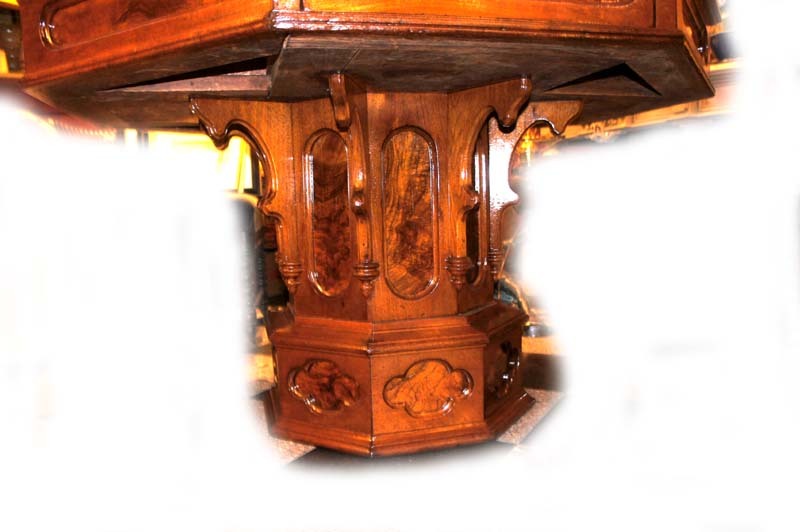 . ." the pictured "table is one of a group of octagonal examples that were probably made in New York about 1845-50. 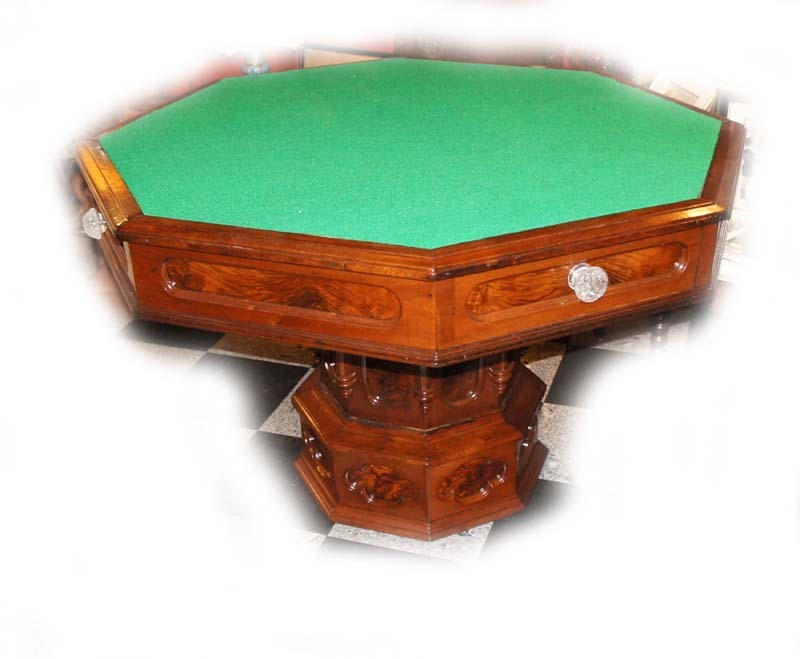 The most elaborate of these tables, which is now installed in The American Wing at the Metropolitan Museum of Art, came from the library of the Frederic Deming House in Newburgh, New York. 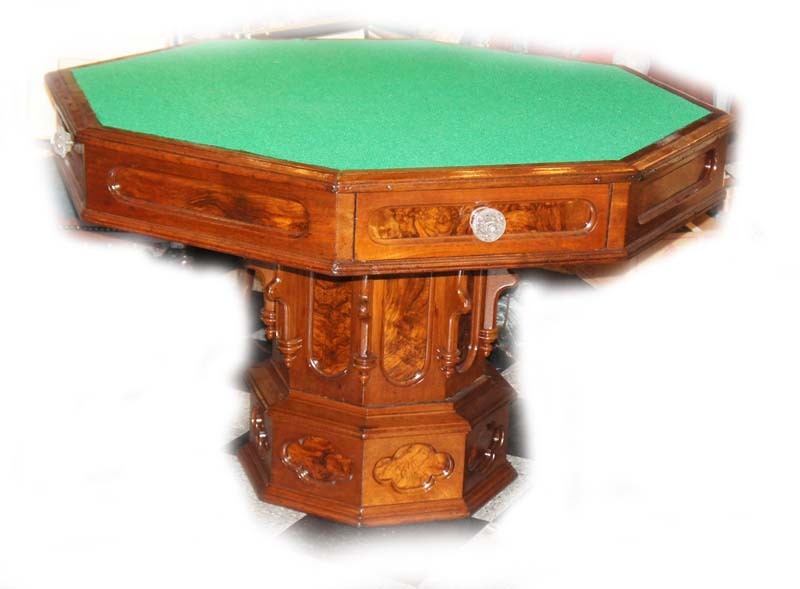 That table uniquely features an unusually elaborate base and an inset circular specimen marble top, which may be original. 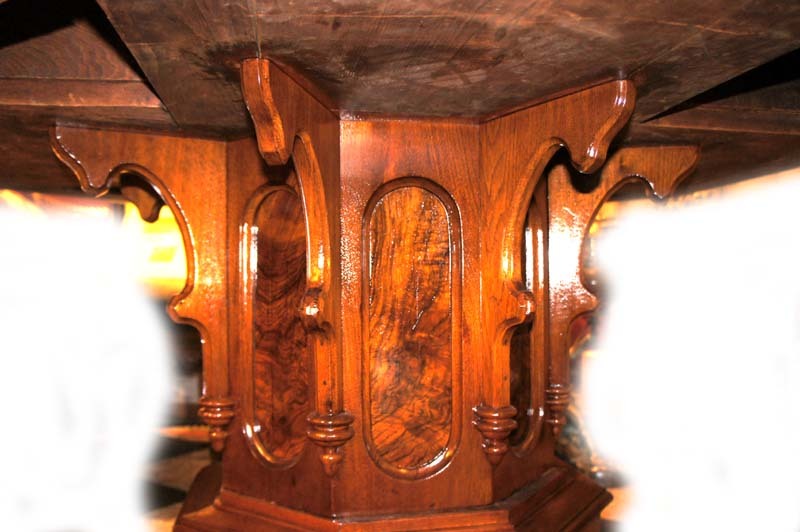 . . all the other tables in this group are of essentially the same form, although they vary both in size and in the exact program of Gothic decoration." 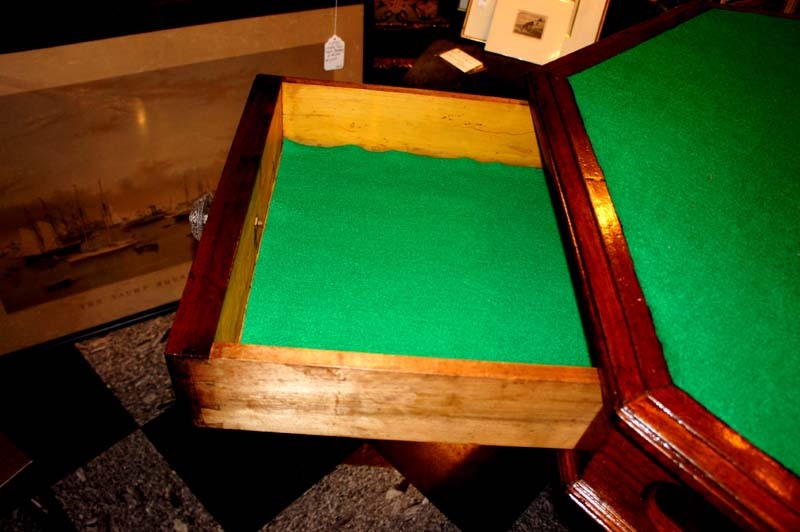 * Our table features 4 drawers with period Sandwich Glass pulls. The drawers are maple. This is the simplest form of this table, but it is still a rare form. Price: $24,500.00.